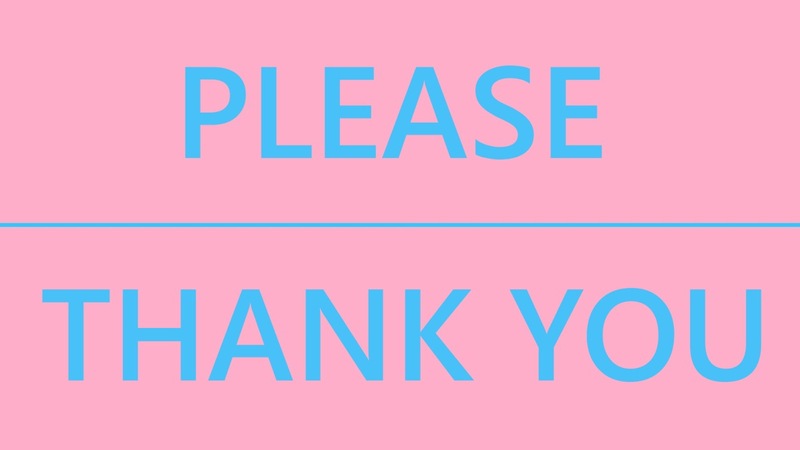 What do you think when you hear the word “please?” To some people, it’s something you say when making a request to show politeness, respect, and manners. I think that it’s a tired term and that manners overall are old-fashioned, inauthentic, and something that should not matter so much in this day and age. There are other ways to show appreciation and gratitude than just outright saying it. In fact, manners may already be on the decline. An American survey by the Associated Press-NORC Center For Public Affairs Research found that 74 percent of people believe that the use of manners has deteriorated in the past several years. I celebrate this because it could potentially mean that sometime soon, we can forget about the practice of polite language. Don’t get me wrong, politeness and manners are good in some respects. I think being aware of the people and space around you is polite—for example, holding open a door for the person behind you, or saying “excuse me” when passing by someone. I think manners are important, but not in the sense of polite language. In my opinion, people are ruder about others not using “polite” words than people who simply don’t say them. For instance, when I ask someone nicely to pass me something, they respond with, “What do you say?” Or, “Where are your manners?” I have none, especially if you are going to force me to voice them. 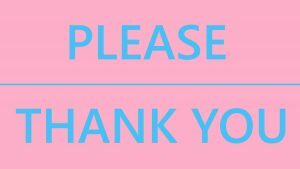 If you are offended by me not saying “please” or “thank you,” that’s your problem, not mine. Isn’t it ruder to say “please” when I don’t mean it than it is to say it for the sake of saying it? I think so. To me it doesn’t make a difference if someone says “please” or not. If they ask nicely enough, what’s the big deal? “Please” is frivolous and unimportant. On the other hand, I think “thank you” is still valuable. It shows gratitude and appreciation for something a person did for you, so I say it when I mean it, and I appreciate when someone says it to me. However, I am not going to go out of my way to make someone say “thank you” to me. I have better things to do. It makes no sense to me to make a big stink about one silly word. Frankly, I think it’s childish and a bit of a power trip. There may have once been a time where manners were ingrained into our society and politeness was heavily emphasized—but times are changing. There’s no longer the need for such insistence on polite language. Additionally, I don’t think teaching manners necessarily teaches politeness and respect. It teaches social norms and conformity, so these trite words aren’t really important in the grand scheme of things. This blog-writer also shared the words of her friend, who said, “‘I want…’ is the most authentic thing anyone can say,” and I agree. Manners are a thing of the past, and what constitutes as polite is always changing over time. You can teach respect and politeness without policing polite language. So, when I ask, “Could you pass me the mashed potatoes?”—don’t pout at me asking, “Where are your manners?” Where are your manners? Pass me the damn potatoes.